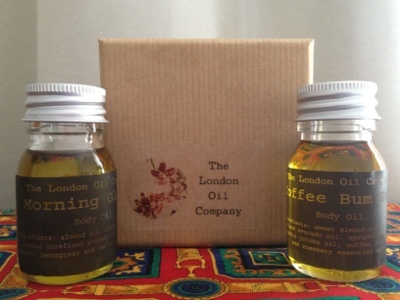 The London Oil Company are a small company that make handcrafted natural body and face oils. They contain no parabens, preservatives or artificial ingredients. They kindly sent me two of their body oils to try out, Morning Glory* and Coffee Bum Bum* (love the names!). Morning Glory is an uplifting oil scented with lemongrass and rosemary. It's designed as an all over body oil, perfect to use in the morning for an invigorating start to the day. Coffee Bum Bum is aimed at helping with more problem areas (as the name suggests) and contains coffee oil, along with rosemary and patchouli. Both of the oils are absorbed really quickly when massaged into the skin, meaning no waiting around in the mornings! They left my skin feeling really soft and moisturised all day, without leaving any residue behind. The oils come in different sizes, starting at £3 for a 10ml sample to between £12 and £16 for a 100ml size, meaning that you can order smaller sizes to see if you like the oil before investing in a bigger bottle. The only thing I found missing that I wanted from this product was a dropper to get the oil out. The bottles I received had open tops which made it a little tricky to dispense the right amount. Overall I'm really pleased with these oils, especially the Morning Glory. I will be looking to repurchase this in the future for definite. The London Oil Company make a range of oils, which you can view and buy on their site here. 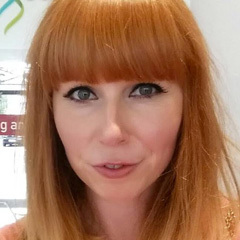 * This post contains PR samples - my review is honest as always. These sound wonderful, love the names. Great that they do smaller sizes it means I can patch test for sensitivities without paying for a full size. It smells great - really refreshing!